Critical Inner Voice, Narcissism, Self Development By Lisa Firestone, Ph.D. 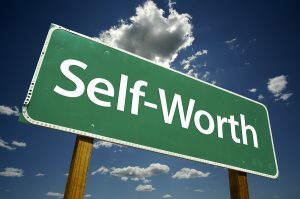 Most of us have a sense of what it means to be narcissistic, but we aren’t as clear about what makes a person that way. What motivates a narcissist’s behavior? What gives them their inflated sense of self? 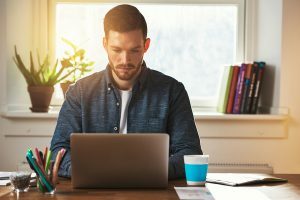 As we understand more and more about what makes up narcissism, we can start to gain more insight into the mind of a narcissist and the types of thoughts perpetuating this self-aggrandizing point of view. 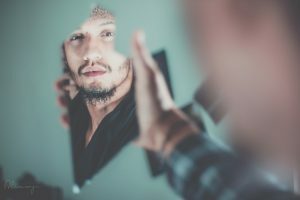 The most important characteristics of Narcissistic Personality Disorder (NPD) as listed by the DSM 5 are “grandiosity, seeking excessive admiration, and a lack of empathy.” To pinpoint how narcissism manifests itself a little further, I recently wrote about the fact that there are actually two main types of narcissism. Grandiose narcissists display an inflated sense of self and often appear arrogant and entitled. Vulnerable narcissists also have a heightened focus on themselves but are more needing of reassurance and are envious of others. Both types of narcissist have something in common, and that is their strong propensity to compare themselves to others. While a grandiose narcissist may feel the need to put others down in relation to themselves or consider themselves more deserving, a vulnerable narcissist may use comparisons to feel victimized, jealous, or desperate to have what someone else possesses. For many years, I’ve discussed the critical inner voice, a concept developed by my father, Dr. Robert Firestone, as a destructive thought process formed from hurtful experiences that shaped our sense of self, others, and the world around us. This cruel internal coach controls the negative conversation and commentary that goes on inside our own mind. While for many of us, our critical inner voice is often self-destructive, putting us down, attacking, insulting, and undermining us, it can also be self-soothing and self-aggrandizing as well as hostile, suspicious or putting down of others. So, how do narcissists experience their critical inner voice? In narcissistic individuals, the preponderance of their critical inner voices is directed at others and putting others down to make them feel better about themselves. If a co-worker gets a promotion, they may think, He’s such a phony. You could do twice the job he does. Or It isn’t fair, you deserved that more that he did. If they feel interested in dating someone, they may hear voices like, Why is he even interested in anyone else? You’re so much prettier than she is. Or He should choose you! You are clearly the best choice. They’re wasting their time on those other people. Do something to make them look at you. Can’t they see how superior you are? You matter more than anyone else here. Your opinion is the most important. They should only listen to you. You know what’s going on better than anyone else here. They should pay attention to you. How dare they not pay attention to you! They must be stupid. While it’s often debated whether these types of thought processes arise from a deeper sense of insecurity or whether they emerge from an inherently inflated sense of self, it’s interesting to examine why a narcissist needs to listen to these voices. What’s at stake if they were to ignore them? What feelings might arise? Every person I’ve worked with who’s struggled with narcissism and has been willing to explore this question describes a similar answer. If they don’t feel special, they don’t feel okay. They conform to a more black-and-white notion that if they aren’t great, they aren’t anything. It’s not enough to be like everyone else. To me, this all-or-nothing viewpoint is an indication that at some core, developmental level, their very sense of self is fragmented. At some point, they learned, it’s not okay to just be who they are. Something distorted their self-perception to make them feel superior, and yet, for that superiority to be so easily threatened, its basis must be empty or not truly believed. One woman who came to a workshop I taught reported that every time she walked into a room full of people she went around the room comparing herself to each person. When she explored the roots of this behavior, she remembered her mother always comparing her to other girls and telling her she was the prettiest. A recent study showed that narcissism in children was predicted by parental overvaluation, not by lack of parental warmth. Interestingly, the exact opposite was true of self-esteem, which was predicted by parental warmth, not by parental overvaluation. A parent who offers a child special treatment, build-up, or false praise is not necessarily conveying real love, warmth, or nurturance to the child. They may even be compensating for a lack of these feelings toward the child. 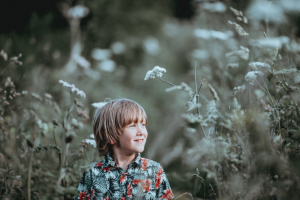 In turn, they may be building a child’s narcissism, but most likely are doing nothing to support the child’s authentic sense of self or a healthy level of self-esteem. So, how can a person with narcissistic traits start to challenge this inflated, but empty sense of self? They could first try to get ahold of the critical inner voices in their heads. They can recognize when this “voice” starts to pipe in with a self-directed build-up or superior commentary, such as a derogatory diatribe about someone to whom they are comparing themselves. They can start to regard this voice as an external commentator rather than accepting it as their true point of view. At first, they can simply notice their critical inner voice and maybe take a break from engaging with the thoughts. Eventually, they may even respond to the voice, countering it with a more realistic, compassionate perspective about both others and themselves. They may then start to explore where these voices come from. Do they sound like someone from my past? Does it threaten my own sense of identity to refute these voices? Why do I find this threatening? What thoughts or feelings would come up if I stood up to this voice? Finally, the person can take actions that are in opposition to the advice and directives of this inner critic. The second thing a person can use to counter narcissism is self-compassion. Embracing self-compassion and teaching it to our children is probably the strongest anti-dote to narcissism. Unlike self-esteem, self-compassion isn’t associated with narcissism, in large part because self-compassion isn’t based on self-evaluation. Instead, it’s a practice of being kind to oneself, treating ourselves the way we would a friend. According to Dr. Kristin Neff, a lead researcher on the subject, self-compassion involves taking a mindful approach to our thoughts and feelings. Mindfulness teaches us not to get too attached or over-identify with the thoughts, feelings, or critical inner voices that can try to take the wheel. We can be curious toward these attitudes, and we can let them pass by. We don’t have to board the train of our emotions and get carried away by destructive thoughts telling us we have to be special or the best, or criticizing or berating others in comparison to ourselves. The last element of self-compassion, and perhaps the most useful when it comes to countering narcissism, is accepting our common humanity. This means embracing the reality that we’re not different or special. Each of us is a worthy human being just like every other worthy human being. 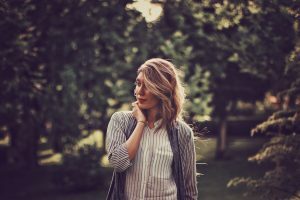 This can be a particular challenge to people who struggle with narcissism; it challenges their defense of needing to feel special in some way, as well as the flipside, which is feeling like they are nothing. For people challenging narcissism, being brought to reality can feel painful, because their narcissism itself offers a compensation for old, painful feelings, often from being offered a buildup but no real substance and nurturance. To let go of the self-aggrandizement feels threatening and uncertain. Early in their lives, something taught them that it wasn’t okay to just be themselves, so they will likely have to be brave in their willingness to go back, challenge, and differentiate from the destructive attitudes that shaped their sense of identity. As they go through this process, self-compassion can be a powerful tool to help make sense of the past and silence the inner voice that drives narcissism. It is very confusing to a child to have a parent or parents who, demand things from you at an early age , before age 7 .Be it a kiss or anything else you might not wish to perform for himor her . I think this heals , when you become a parent and have a conscious awareness of rhe ways this impacted you and are able to extract yourself away from similar actions , this conquering of the ” VOA “, voice in activation , empowers and it is from this space . The pattern is disrupted . A “No” is acceptable and this gives the child , self respect/esteem ( to a certain degree) and then later he or she can exercise this on the playground and everywhere else ) and is the building of good boundaries … This is important as the brain develops and the child has better and more creative ways of expressing himself/herself with more complexity in given situations . From my point of view , I prefer to give achild in a new situation time to interact or not . Eventually , their curiosity usually brings them forth , I think parents sometimes tend to force this as some lapse in etiquette or being rude to an adult . handily and it took some bravery . I had bold friends , who had different parents and I watched and listened well one of the many blessings that came with being shy and curious . WHY was a popular word in my vernacular ! I remain this way , it is helpful . Can You Trust Your Own Perceptions?